Nice, well-appointed and spacious room with all kinds of amenities that I would normally only expect from a much more expensive hotel. Really excellent value for the price! 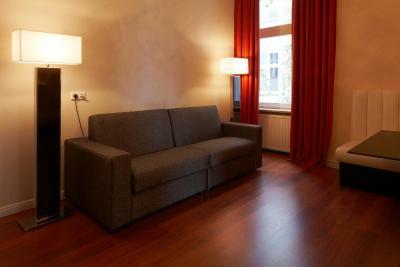 Convenient location, between Prenzlauerberg and Alexanderplatz. But in hindsight I would rather have stayed somewhere closer to one or the other. It is nice that the hotel has rental bikes available right at the reception desk. The largest room we stayed in while in Germany. A short walk to a hip neighborhood. Excellent Pizza downstairs. 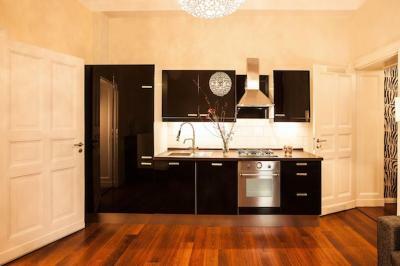 Location perfect, only two tram stops from Alexanderplatz but in a very quiet neighborhood filled with restaurants and cafes Very stylish and unusual interior. Spacious. The suite was spacious for three people. And there was all things needed, so it was great. The location was of course great. A nice evening walk to Alexander Platz. All in all, a good stay. I feel lucky to have stayed at Adele Design hotel.It was a short notice booking.The room was perfect.Large and clean. I can not find fault with any part of my stay.I would recommend it to anyone. Good location, big stylish room & bathroom. Windows that can be open & access to fresh air. Great location and rooms are very comfortable and clean. Everything was very clean and despite previous comments, the bed was comfortable. The location is good; within 5 minutes walk you are more or less anywhere you want to be (Alex, Kollwitzplatz, Friedrichshain parc...). The instructions to get the keys were clear and accurate. * Location is very central * The rooms and toilets are spacious * Decent standard in badrooms. Adele Designhotel This rating is a reflection of how the property compares to the industry standard when it comes to price, facilities and services available. It's based on a self-evaluation by the property. Use this rating to help choose your stay! One of our top picks in Berlin.Adele Design hotel is a exclusive city hotel in Prenzlauer Berg district of Berlin. 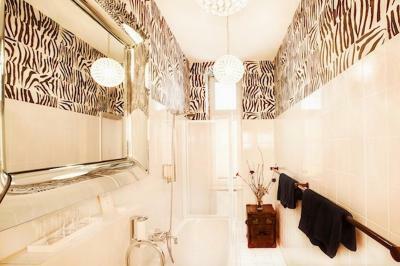 It features Art Deco interiors, warm wooden floors and spacious natural stone bathrooms. 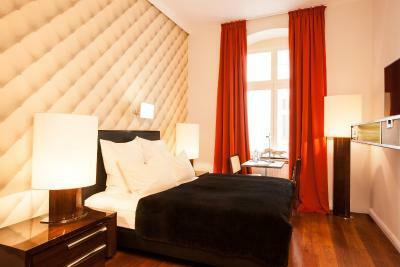 This design hotel is located beside the lovely park Friedrichshain, just 0.6 mi from the famous Alexanderplatz square. The interiors were designed by Thomas Herrendorf, and all rooms include free WiFi, a docking station, sound system and a safe. Nearby trams take you to the shops and transport services of Alexanderplatz in less than 5 minutes. From here, you gain easy access to all areas of the city. In addition, the shops and bars of Hackescher Markt and Kollwitzplatz are within easy reach. 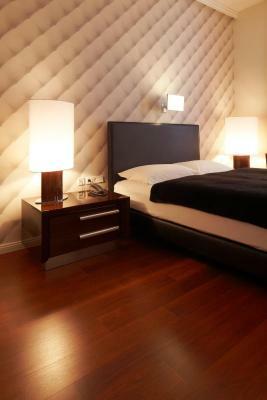 When would you like to stay at Adele Designhotel? Spacious rooms featuring art-déco interiors, wooden floors, bathrooms with rain shower or bathtub, hairdryer, LCD-TV, telephone and free WiFi. Some of these rooms have a sideboard with a safe and an Apple docking station. This art-déco-style family suite has a bedroom with a double bed, a living room with a sofa bed and an open kitchen, a bathroom with bathtub, LCD TV, telephone, free WiFi, a safe and an Apple docking station. Please note that this suite is located on the 2nd floor and can be reached by stairs only. This art-déco-style suite has a separate living and sleeping area and a bathroom with walk-in glass shower. It also has a LCD TV, telephone, free WiFi, a safe and an Apple docking station. It is located on the ground floor and has a private entrance. These rooms feature art-déco interiors, wooden floors, bathrooms with rain shower or bathtub, hairdryer, LCD-TV, telephone and free WiFi. Some of these rooms have a sideboard with a safe and Apple docking station. Please note that no extra beds are available in this room category. 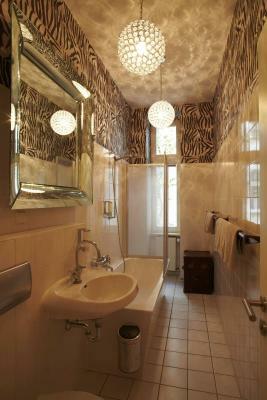 These rooms feature art-déco interiors, wooden floors, bathrooms with a shower, hairdryer, LCD-TV, telephone and free WiFi. Some of these rooms have a sideboard with a safe and Apple docking station. This art-déco-style family suite has 2 bedrooms with a double bed, a living room with a sofa bed and an open kitchen, a bathroom with bathtub, LCD TV, telephone, free WiFi, a safe and an Apple docking station. Please note that this suite is located on the 2nd floor and can be reached by stairs only. House Rules Adele Designhotel takes special requests – add in the next step! Adele Designhotel accepts these cards and reserves the right to temporarily hold an amount prior to arrival. Please note that the reception is staffed between 9:00 and 18:00. Guests arriving later than 18:00 are kindly asked to contact the hotel in advance by telephone or e-mail. A parking permit is available for guests (subject to availability, daily surcharge of EUR 7) for the street parking zone next to the property. Please note that drivers need a fuel-emission sticker (Umweltplakette) in order to enter central Berlin. Please inform Adele Designhotel of your expected arrival time in advance. You can use the Special Requests box when booking, or contact the property directly using the contact details in your confirmation. Location of the shower was too central for comfort and privacy. There is a decoration hanging from the ceiling in the wc which disturbs by toching the back of the head like a spider´s web. It was a bit noisy outside the suite but nothing major. We were lucky to get the suite around the corner because it was really noisy with loud kids next to the other suites. There was a bright light under the TV set that I could not find how to switch off without switching off the entire electricity for the room. Wifi was not really good in Room 12, somehow the connection several times dropped to zero. This is NOT a design hotel, but a simple hostel in a residential building without any public area. Motel One is10 times better. Room is dusty, chairs are dirty and disgusting, no staff/service most of the day, no baby cot provided even if requested multiple times and was confirmed by hotel. The internet was either very slow or did not work at all. I asked staff whether something can be done and the answer was that the hotel was fully booked and therefore the internet is slow and there couldnt be much done about it The reception was only open from 9:00 - 18:00. This not very helpful because this is probably the time period where guests are not in the hotel anyway. Internet connection was a nightmare. A bit too dark light in the bathroom. This hotel is actual B and B as there only have staff available 9am to 5pm. The safety box in the room not working properly and cannot get our documents when we leaving. Call the hotel number there is man answer the call. He said nobody available until 9am. And he was unhappy as we phoned him to wake him up. He even swear to me. That was no acceptable. Terrible service. They should told us when we check in or on the website. This hotel was a big disappointment. On a very noisy street, staff is never there, room was dirty and bathroom was not cleaned properly. Overpriced and very poor value of money. This is not a design hotel, so anyone expecting one will be bitterly disappointed. Stay away.